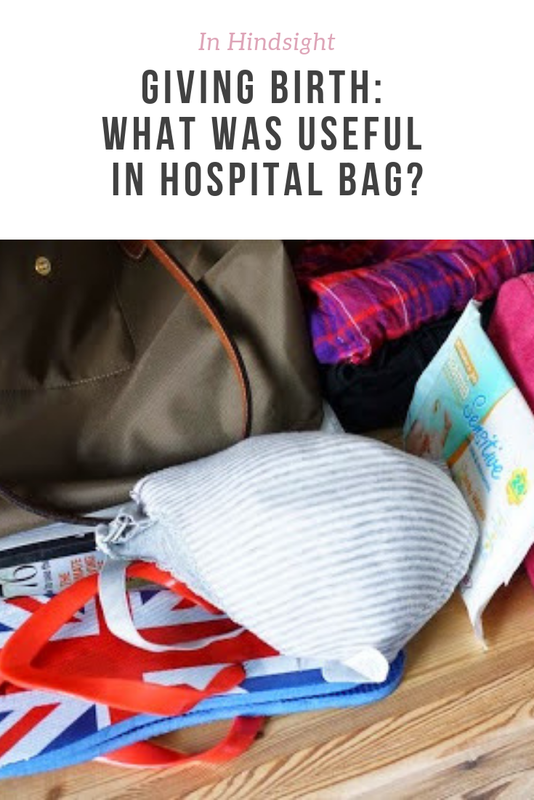 My hospital bag in hindsight: What was useful / useless? When I packed my hospital bag (this was nearly a year and a half ago) I had no idea what to pack. I relied on those checklists you can find when you type "Hospital bag" on Google. In principle the checklists are great, and they certainly helped me, but when it came to the actual hospital stay I ended up a bit annoyed with some of the items I was lugging around, and desperate to get some other items. So here is my post about what I packed and what I (in hindsight) should have packed. Partly the reason why I was logging around quite a few unnecessary items was because I had this image of a serene NCT-inspired natural labour, ending with a blissfully relaxed baby and me relaxing while baby was sleeping... Well, it didn't quite go like that, like it doesn't for most people I guess. But anyway, here is a list of what I had in my hospital bag. Make-up - seriously, what was I thinking? Disposable undies - disposable undies were horrible, too tight on the thighs, too loose on the bum, difficult to put on and uncomfortable. I'd recommend just packing your old undies that you are happy to chuck away! The most important things I found invaluable were plastic flip-flops I could use in the shower, and a sleeping mask, to use during labour in those brightly lit delivery rooms. I particularly enjoyed a facial mist (mine was Vichy Thermal Spa Water)- it felt lovely and refreshing to use it when I was tired and feeling sweaty. Hairbands were great too to keep my hair out of my face. I should have left all those magazines and books home - no chance of reading them and made my bag heavy. And make-up - what was I thinking? Seriously - I must have been delusional, thinking I would read my magazine, and put my lippy and mascara on before the guests... I guess you won't really understand how tired you are after giving birth until you've actually done it yourself. Just brushing my teeth was an accomplishment enough! And one tip I wish someone would have given me - pack your hospital bag in a cabin luggage. Because wheeling it around instead of dragging a heavy bag around the hospital is so much nicer. In hindsight, what would you have packed in your hospital bag? And what would you have left home? I've heard other people say that too, but I actually thought the pillows were decent. Guess depends, if you like nice fluffy ones you need to bring your own. Yeah, we had quite a few bags in the end - I think there was the changing bag, and then just a plastic bag with snacks, and then my bag. It was quite helpful that we lived only 5-10min away from the hospital, so my husband could easily pick things from home if we really needed something.